It is a well known fact that computers have become common place in our lives. Keeping this important aspect in mind, the Andhjan Kalyan Trust has been running a Computer Education Centre for the Visually Impaired at Dhoraji since August-2008. Visually Impaired students are taking training of various programmes like the concept of Windows operating system, Office applications, Internet etc. 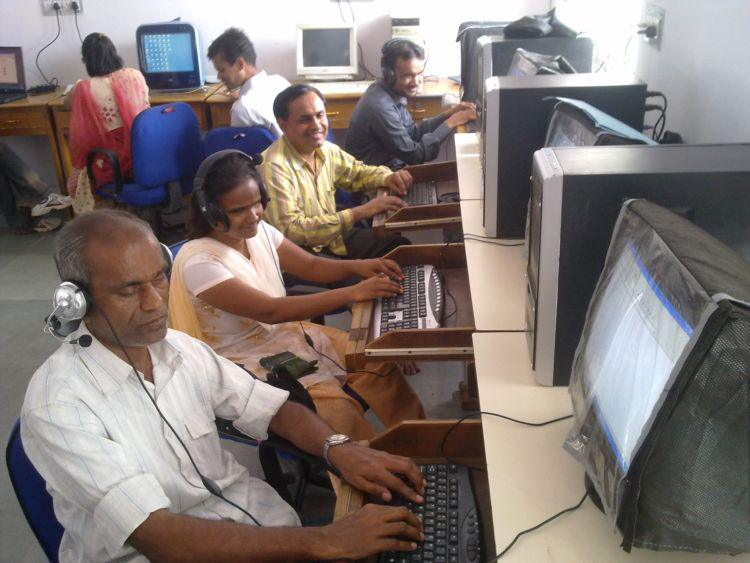 With the help of Screen reading software (Text to Speech Technology) computers have also become accessible to persons with vision impairment.